Welcome to the website of the Caldon and Uttoxeter Canals Trust. On these pages you will find information about these waterways and about the work of the Trust. We hope that you enjoy looking around the site and will be encouraged to support the work of the Trust by joining us in restoring and preserving these beautiful waterways. The Caldon Canal between Etruria and Froghall was built in 1776 to carry limestone from the quarries at Cauldon Low to Stoke on Trent and beyond. Since then the canal has been modified a number of times. The Leek Branch and Rudyard Lake were opened in 1801, with the branch to Uttoxeter opening in 1811. This latter branch was short-lived, closed in 1849 by the new owners of the Canal company, North Staffordshire Railway. Following the decline of commercial traffic in the early 20th Century the Caldon Canal fell into disrepair. The last section into Leek was closed and filled in by Leek UDC in 1957. In 1961 a closure notice appeared at Etruria. The Caldon Canal Committee, later the Caldon Canal Society, was formed in 1963. Following a campaign, a partnership involving volunteers, local authorities and British Waterways was formed to restore Caldon Canal. The canal was officially reopened to navigation, 28 September 1974 and in 1983 British Waterways upgraded Caldon Canal & Leek Arm to "Cruising Waterway" status. The lock and basin at the start of the Uttoxeter Canal in Froghall was reopened in July 2005, after which the Caldon Canal Society renamed itself to the Caldon & Uttoxeter Canals Trust. 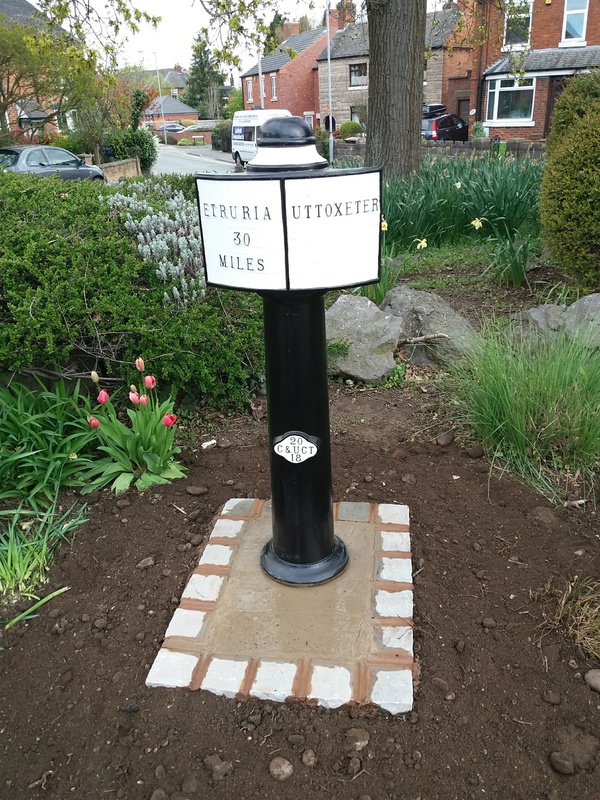 Our project to reinstate all the mileposts on the Uttoxeter Canal reached a significant point yesterday with the installation of Milepost 30 at The Wharf in Uttoxeter. This means that four of the six newest mileposts have now been installed and that only three remain to be installed along the full 13-mile length of the canal. The Trust installed five of the six missing mileposts between Froghall and Denstone as part of a project within the Churnet Valley Living Landscape Partnership in 2016. The sixth post has been cast but not installed as it is to go into a position not presently accessible to the public between Froghall and Oakamoor. It will be installed at a later date when this section of towpath is reinstated. The present project, fully funded by CUCT members and supporters, will reinstate all 6 missing mileposts between Denstone and Uttoxeter. In a couple of places where the original milepost location has become inaccessible through later developments we are installing the new posts nearby on publicly accessible routes so that walkers can follow them. 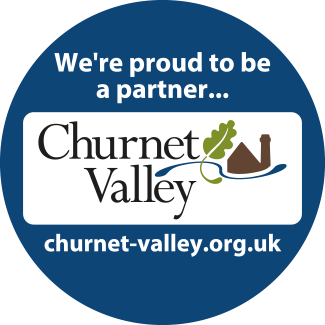 When this project is complete the Trust will be promoting a pedestrian route from Uttoxeter into the Churnet Valley along the line of mileposts which will initially reach to Oakamoor, and eventually to Froghall. Thank you to our supporters who contributed funds and our volunteers, led by Philip Balfour, who have delivered the project.